If the expectations about housing in 2019 can be summed up in one word, it's this: balanced. 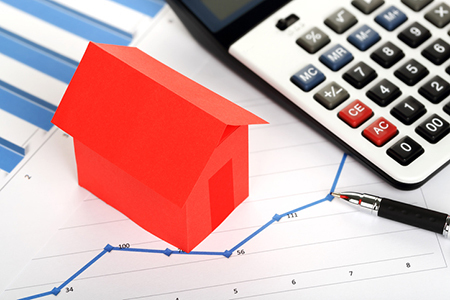 After months and months on a runaway track, home prices have started to temper, and will continue to moderate in the upcoming year, according to new predictions by several sources. Analysts are anticipating anywhere from 2.2 to 3.79 percent growth in home prices for the year—a considerable dip from past years, but an indicator of a leveling-out market. The deceleration, however, is not likely to overcome other pressures, like climbing mortgage rates and short starter supply, changing conditions for homebuyers and sellers. According to a forecast by realtor.com®, there will be a fewer than 7 percent increase in inventory overall for the year. "Inventory will continue to increase next year, but unless there is a major shift in the economic trajectory, we don't expect a buyer's market on the horizon within the next five years," says Danielle Hale, chief economist at realtor.com. "Unfortunately for buyers, it's only going to get more costly to buy, especially the most-demanded entry-level real estate." Meanwhile, interest rates will track toward 6 percent—landing between 5.3 and 5.5 percent, realtor.com's report shows, or 5.8 percent, according to a forecast by Zillow. In the realtor.com scenario, monthly mortgage payments will rise 8 percent. The increase is an obstacle for renters; in fact, it is now the "biggest challenge" toward purchasing for 19 percent of renters, according to a forecast by Trulia. Thirteen percent said the same this spring. "I believe we're going to see rates go toward what they were 10 years back coming out of the recession: closer to 5.25, 5.3 percent," says Cheryl Young, senior economist at Trulia. "The real issue around affordability and rising interest rates—whether or not people know how much that's going to impact their monthly mortgage payment—is the fact that prices have been outstripping wage growth. The bottom end of the market, especially first-time homebuyers, are already feeling the squeeze, so any rise in interest rates takes another bite out of affordability." For the buyers capable of paying prices today, however—and at the interest rates of tomorrow—there will be a measure of relief. "Certain headwinds—including rising mortgage interest rates, higher rents and stiff competition for housing in the most desirable areas—will only grow stronger over the next year, but that won't necessarily be a bad thing," says Aaron Terrazas, senior economist at Zillow. "A slower-moving market is likely to give more buyers a chance to catch their breath and choose from a wider selection of homes that fit their preferences and budgets." First-timers will again be a force in 2019, accounting for 45 percent of mortgages, according to realtor.com's report. Many will be millennials who are moving or trading up. According to Trulia, 21 percent of millennials are planning to purchase in the next year. Given the buyer dynamics, 2019 will continue the favorable market for sellers, as well—but not everyone will garner multiple offers, as in recent years. According to the forecast by realtor.com, sales will soften for the year, down 2 percent. "For the first time in a while, home seller sentiment has decreased," Young says, citing the report by Trulia. "I think people, net, are still thinking it is a good time to sell, but it is not as favorable as it was last year." One critical development in 2019 is the effect of the Tax Cuts and Jobs Act. According to the research by Trulia, half of homeowners believe they will not benefit from the changes when they file their taxes—and many, realtor.com's report shows, will have a bigger bill at tax time. How housing will be impacted overall is unknown. Another development is disasters, which are growing in intensity and number. Following two devastating hurricanes and the wildfires this year, analysts are expecting more occurrences in 2019. According to the predictions by Zillow, a "record number" of homes will be lost as a result—but according to the findings by Trulia, 52 percent of homeowners are "no more or less concerned" about the potential threat. With the burn-out in home prices, and rates rising, housing has been inching toward normal this year, and is anticipated to stabilize through 2019. Battered buyers may have improved prospects in the upcoming year, but will still contend with cost and inventory pressures. "2019 looks to be a pivotal year as the market cools and transitions from one marked by robust recovery into one more in line with historic norms, and more balanced between buyers, sellers and renters," Terrazas says. Suzanne De Vita is RISMedia's online news editor. Email her your real estate news ideas at sdevita@rismedia.com.